Of the truly great mentors I met at UC Irvine, Food and Asian American history professor Yong Chen was the most influential on my blogging. An incorrigible foodie, he shared with his students an infectious enthusiasm for food as a tangible form of history, a consumable form of expression, and a traceable social pathway. The first restaurant review I ever wrote, close 16 years ago, was an assignment for one of his seminars. 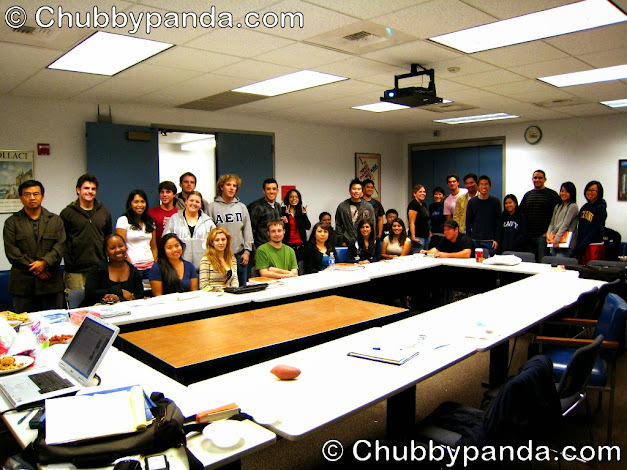 Without Yong Chen's influence, knowledge, and friendship, Chubbypanda.com would never have existed. I would have lacked the ability to write it. 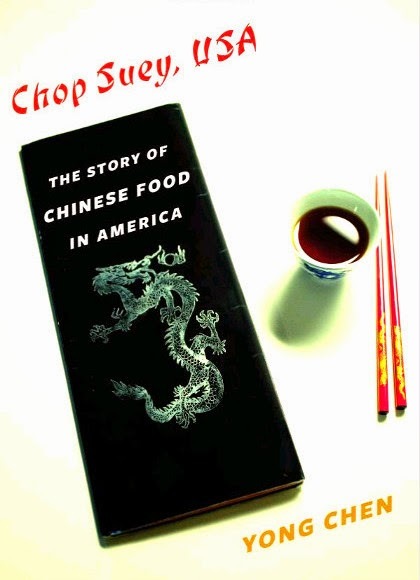 The central themes that ran through each of Yong's classes and helped to shaped my own development as amateur student of all things gastronomic, from the Asian American experience to food as both an expression and definition of self, can be found in his latest work, Chop Suey, USA: The Story of Chinese Food in America. Over a decade in the making, this book serves as part academic diary and part personal roadmap to Yong's own experiences as both an Asian American and a food historian. Throughout, it continually strives to answer a question central to every immigrant's identity, "What does it mean to be an American? ", and challenges traditional interpretations of "American" cuisine. In a country composed almost entirely of immigrants, whose customs and foodways constantly evolve with each new wave of arrivals, there can be no more meaningful topic. I highly recommend it to anyone with an interest. (Chop Suey, USA: The Story of Chinese Food in America. Columbia University Press, 2014). The book starts with a question that many Chinese-food lovers have wondered about: Why is Chinese so popular in the United States? Chinese food has been enormously popular for more than a century. The New York Tribune noted in 1903 that "there is hardly an American city that had not its Chinese restaurants, to which persons of every class like to go." Sun Yat-sen observed similarly in the 1910s that "there is no American town without a Chinese restaurant." By the 1980s, Chinese food had become the most consumed ethnic cuisine in the United States. Many have attributed this phenomenon to Chinese cooking’s gastronomical supremacy, a belief that has been expressed by numerous prominent individuals, including Sun Yat-sen. Such a gastronomical interpretation, however, cannot sufficiently explain two historical facts: first, mainstream American consumers did not fall in love with Chinese food upon its initial arrival in the New World but rejected but rejected it for about half a century. Second, when American diners started to frequent Chinese restaurants, what they chose were not the exquisite dishes that Chinese epicures had cultivated over the centuries and Western food connoisseurs had widely regarded as best representing Chinese cuisine. Rather, American Chinese restaurant goers preferred the most simple and least trumpeted foods in Chinese cuisine, such as chop suey and chow mein. Clearly, culinary merits alone do not fully explicate the rise of Chinese food in America. Chop Suey, USA offers the first comprehensive examination of the historical forces and players that turned the food of a despised race into dominant force in the country’s budding restaurant market. It sheds new light on the indispensable yet often overlooked role that Chinese food has played in developing the American way of life and extending American abundance. The multiplying Chinese restaurants helped to democratize America’s food consumption by making dining-out a universally accessible experience, expanding the meaning of American freedom and liberty in the realm of consumption. Their inexpensive, convenient, fast, and tasteful food developed an irresistible appeal to many Bohemians, and rebellious youth, African Americans as well as middle class tourists. Jewish diners too flocked to Chinese restaurants, where they found not only a novel cuisine but also a place to fulfill their desire to join the middle class and become American. Thus, chop suey, the epitome of America’s Chinese food for decades, was the “Big Mac” in the pre-McDonald’s era. Through analyses of this and other once wildly popular Chinese dishes, the book also tackles the question of "gastronomical" authenticity, namely, whether chop suey or America’s Chinese food is authentically Chinese. 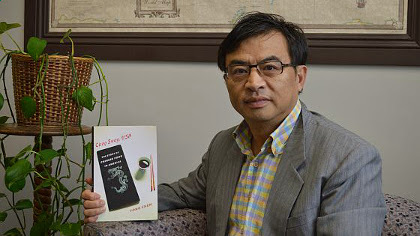 The book does so by investigating the metamorphosis of Chinese food in both Chinese history and American society. Chop Suey, USA also illustrates the vital importance of Chinese food for Chinese America. Economically, Chinese restaurants became an extremely important source of income and jobs for Chinese Americans, especially when Chinese were banned from entering most other occupations. In crowded Chinese communities, in addition, these dining places provided the much needed space for Chinese immigrant men to socialize. Culturally, Chinese food and food businesses became a most prominent feature of the community, visual and olfactory, making the American urban Chinatown virtually a "food town." Also playing an important role in promoting Chinese food were the Chinese-food cookbooks -- more than 280 such cookbooks were published in the United States between the 1910s and the mid-1980s, written mostly by Chinese Americans. In introducing Chinese cooking to non-Chinese audiences, these cookbook writers made an unprecedentedly comprehensive attempt to define its essence. If the restaurants gave the Chinese a steady source of employment, cookbook writing created a visible and constant platform for Chinese Americans to speak to mainstream audiences. They spoke -- with pride and authority – not only about China’s cooking but also about its culture and history as well as their own experiences. At a methodological and epistemic level, this book also reminds us of the centrality of food in history and in our own lives. It shows how food connects history and our personal experiences. Readers interested in cooking Chinese food can find recipes for dishes like pork chop suey and kungpao chicken that American lovers of Chinese food most craved at different times.